The Super Eagles of Nigeria have moved one step up in the latest FIFA rankings released on Thursday. 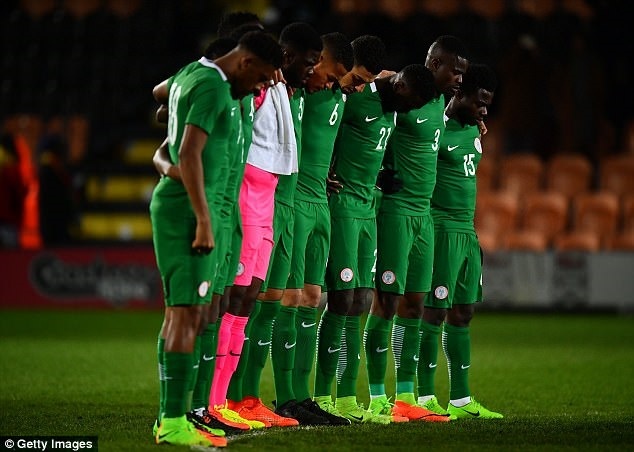 The Super Eagles, who were in the 41st position last term, are now 40th in the world and 5th in Africa having moved two steps up in the Continental ratings. Nigeria are behind the quartet of Egypt, Senegal, Cameroon and Burkina Faso. Egypt are well-placed in the 19th spot while Senegal, Cameroon and Burkina Faso are ranked 30th, 33rd and 35th respectively. The Super Eagles played a 1-1 draw with Senegal in the period under review and could have garnered more points that would have helped them if the planned game against Burkina Faso in London took place. Meanwhile, Brazil after seven years are now the number one team in the world while Argentina have now dropped to the second spot. Germany, Chile Colombia, France, Belgium, Portugal Switzerland and Spain complete the top 10 teams. As stated on the FIFA website, Poland (11, plus 1) built on their best-ever placing last month to go one better – a feat mirrored by Burkina Faso (35, plus 1). Meanwhile, Peru (17, plus 1), Curaçao (70, plus 4), Swaziland (88, plus 10), and Papua New Guinea (156, plus 14) also registered new personal bests. The next FIFA/Coca-Cola World Ranking will be published on 4 May 2017.